The Festival des Arts de Saint-Sauveur (FASS) returns July 29-August 8 under the helm of Guillaume Côté for the first time. Côté, one of the leading figures of the dance world, assumed the role of festival artistic director earlier this year, having previously shared programming duties with outgoing director Anik Bissonnette. To celebrate his inaugural year, Côté has invited his friend Rufus Wainwright to kick off festivities with a special pre-opening concert on Wednesday, July 29. The festival will then dive into 10 days of ballet, contemporary dance and orchestra performances. “For my first official season with FASS, I have drawn on my experiences as an international dancer and I have the pleasure of presenting some of the world’s foremost artists. These artistic masters will be joined by gifted young dancers who are already having a significant impact on their art form,” said Côté, also a principal dancer and choreographic associate at the National Ballet of Canada. Programming includes: Germany’s Gauthier Dance in a return engagement; Coleman Lemieux & Compagnie, which will present works set to the music of Elvis Presley and Johnny Cash; and Stars of American Ballet, which features seven principal dancers from leading U.S. companies in an exceptional performance. “We also have an all-Montreal evening of dance with the renowned BJM – Les Ballets Jazz de Montreal and Tentacle Tribe, a young company that is garnering a great deal of attention,” Côté noted. On the music front, FASS will host the Orchestre Métropolitain and its superstar conductor Yannick Nézet-Séguin. 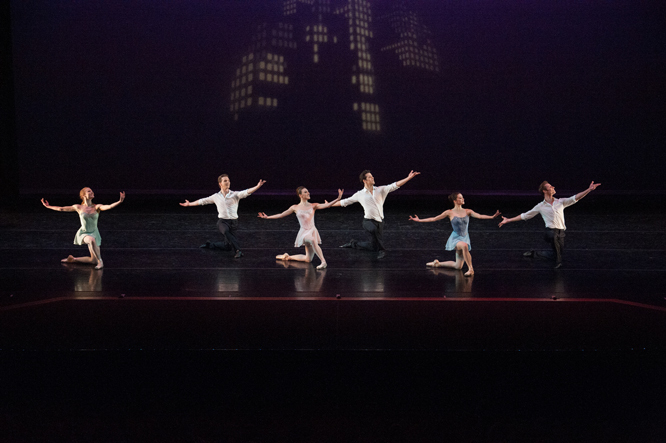 Then the festival will close with two international events showcasing the talents of classical and contemporary star dancers like Bryan Arias from Kidd Pivot, independent artists Ana-Maria Lucaciu and Andrea Schermoly, and artists from New York City Ballet and National Ballet of Canada. All indoor shows will take place in Le Grand Chapiteu, the FASS Big Top venue. A program of free shows will be presented on the Desjardins Stage, featuring everything from flamenco and klezmer to dance-improv. Also, on Sunday, August 2, FASS will host Tohu-Bohu Family Day, introducing a program of activities for young festival-goers. “As usual, our outdoor stage will be the setting for many superb free shows, while the ever-popular Tohu-Bohu will occupy the town square with its array of educational, interactive, fun activities for kids of all ages,” Côté said. For more information on all FASS shows and activities, visit www.fass.ca. There will also be a silent auction, a master class with Côté and a FASS Dance Camp. Don’t miss the 24th edition of FASS taking place in the breathtaking St-Sauveur region. Photo (top): Heather Ogden. Photo by Aleksandar Antonijevic. Photo (left): Coleman Lemieux & Compagnie. Photo (right): Stars of American Ballet. All photos courtesy of FASS.